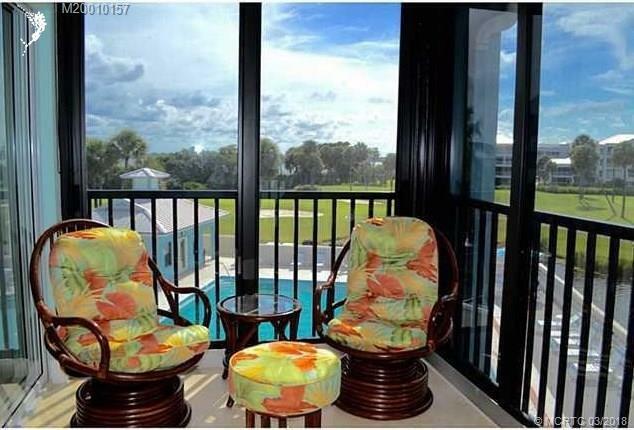 Beautifully upgraded third floor corner unit with gorgeous views of the lake and golf course. This much sought after 1 bedroom 1.5 bath condominium offers gorgeous sunset views from the 3 season room. Updated kitchen with granite & stainless steel and close proximity to heated pool. Everything you need for a terrific vacation in our little piece of paradise.